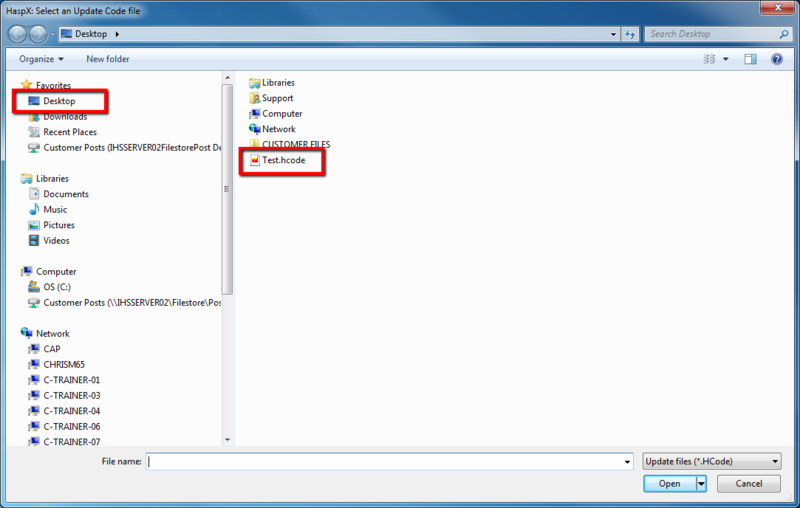 If Mastercam is not on the computer where you received this email, save the code file (attachment) to a flash drive and take it to a computer where Mastercam is installed. 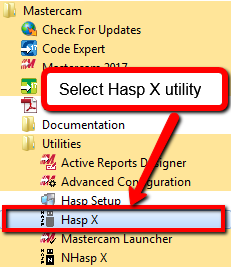 From your Start Menu, open your Hasp X utility from Mastercam drop down menu. 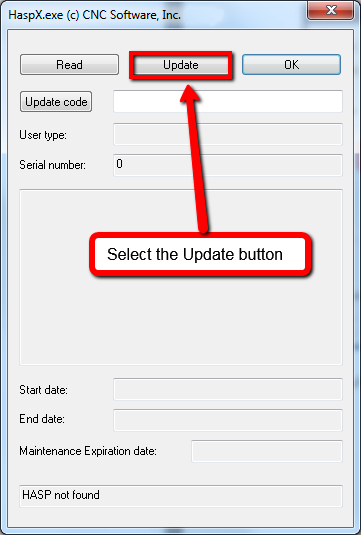 In your utility, click on Update code. 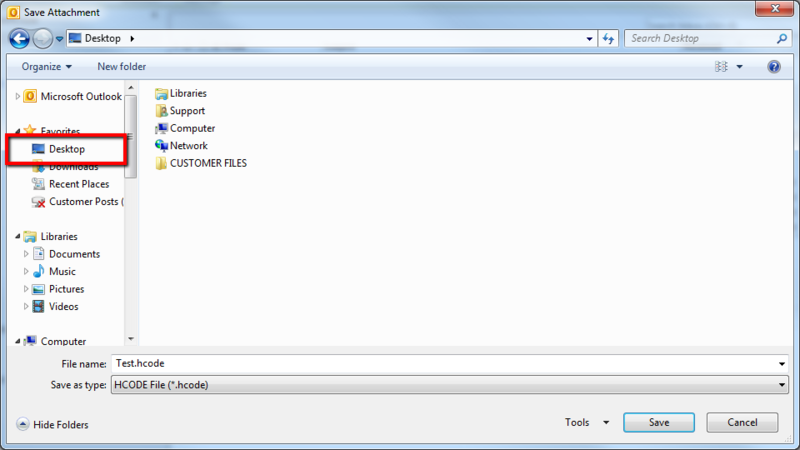 Browse the desktop to find the .hcode file and double click on the file. 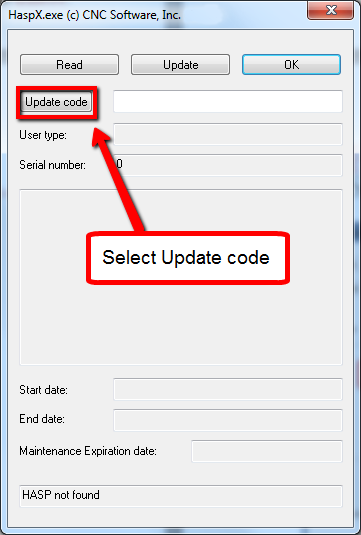 A code will appear in the Update code box and then click Update. You have now updated your HASP.